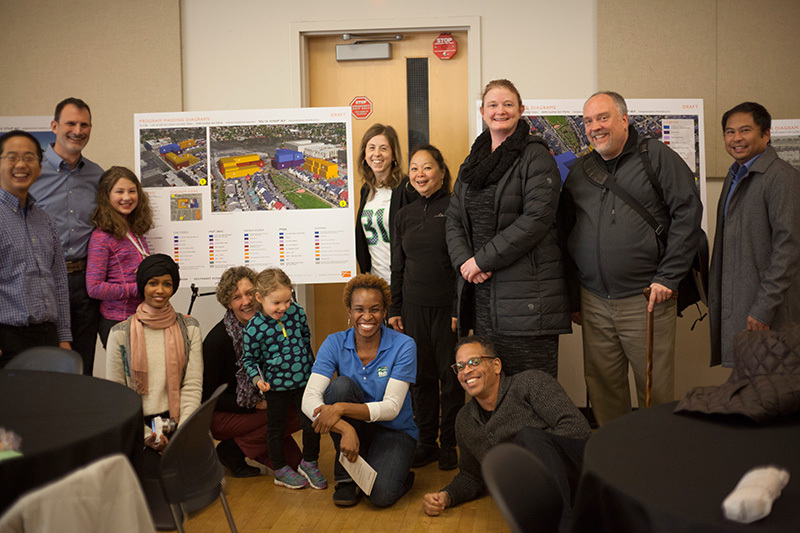 On March 15th, 2018, a crowd of several hundred people assembled at the New Holly Gathering Hall for a community celebration to announce that HomeSight had signed the Purchase and Sale Agreement with the Seattle Housing Authority to buy the four parcels that will make up the forthcoming Othello Square. This event marked the culmination of an immersive multi-year community development process in which Weber Thompson was privileged to facilitate the intensive nine-month feasibility study and master planning, including more than 25 community, stakeholder and potential partnership meetings. 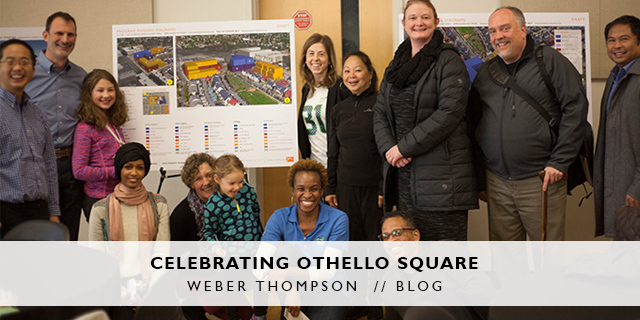 Othello Square, developed by the nonprofit housing developer HomeSight, will be a “uniquely integrated, culturally competent, and welcoming gateway center” for southeast Seattle. This mixed-use development project will be sited on 3.2 acres at the Othello Light Rail Station, and will include four buildings along with a dynamic community based exterior space. HSOC Building (Building A): The HomeSight Opportunity Center (HSOC) building will include the Multicultural Community Center, business assistance collaborative, community gathering hall, post-secondary education, and 200 units of mixed income housing. RVLA Building (Building B): The Rainier Valley Leadership Academy (RVLA) building will house a public charter high school for approximately 450 students. Building C: The first building planned to begin construction (Building C) will include a community healthcare clinic and about 170 units of equitable workforce housing. Building D: Building D will include about 67 homeownership units. Following the heels of the March 15th community celebration, was the release of the Othello Square Master Plan. This 95-page document reflects over 18 months of work between September 2016 and April 2018 when the Othello Square Governance Committee, together with the Othello Community, established guidelines and criteria to ensure continuity of their vision for the Othello Square site. Guided by Weber Thompson’s Landscape Principal Rachael Meyer and Project Manager and Senior Associate Carey Dagliano Holmes, the master planning phase has been a rich process driven by the community, for the community, with an aim to be inclusive and forward thinking while celebrating diversity and cultural heritage. The Master Plan document captures the evolution of this community engagement, along with the visioning, guiding principles and master site plan design that will shape the development of the entire Othello Square campus. Thanks to the collaborative efforts of HomeSight, Barrientos Ryan, Spectrum Development Solutions, Washington Charter School Development, SKL Architects, NAC Architecture, NBBJ Architects, and many community and non-profit organizations, this vision will soon become a reality. Weber Thompson will continue to be involved in the project as the architect, landscape architect and interior designer for Building C, and as the landscape architect for both Building D and the Rainier Valley Leadership Academy (RVLA) (Building B). Through our participation in the feasibility and master planning phases, we’ve gained a deep immersion into this community driven project and we’re eager to continue supporting this pivotal project in the Southeast Seattle community. Please visit HomeSight’s website for additional information regarding Othello Square and their current Capital Campaign. 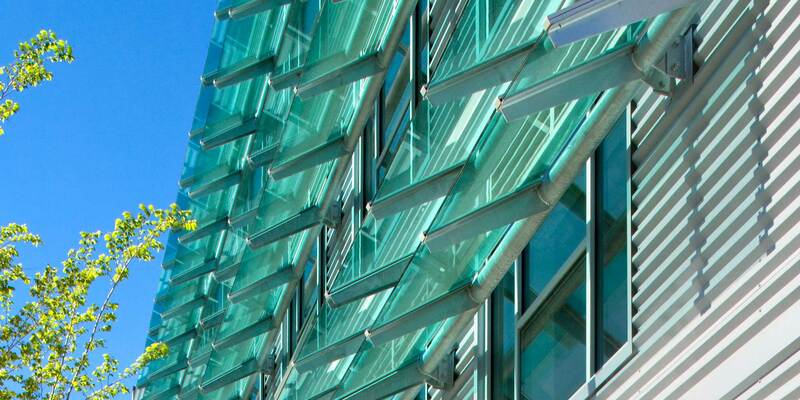 Carey Dagliano Holmes, AIA, LEED AP BD+C is a Senior Associate and project manager at Weber Thompson. She employs her design and project management strengths to advance the design development and permitting of complex urban projects such as Othello Square. She is passionate about affordable housing and believes in making her community a safe, equitable place to live.